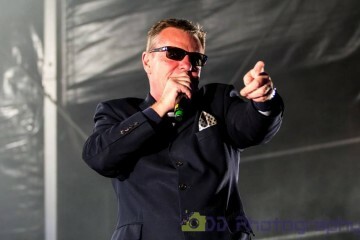 Madness’ New Year’s Eve gig seems like it took place only a week or so back, but already we’ve raced through January and are already into the second month of 2019. On the subject of racing through, it looks like we raced through the editing of last week’s MIS and neglected to ensure our Showtimes section was up-to-date. Several of you got in touch after issue 1,029 went out to let us know of our omissions. We do apologise! You should find that this week’s Showtimes section is now fully up-to-date, but if you find that we’ve still missed gigs out then do let us know. Moving on, and the big news this week is that pre-orders for the forthcoming Madness biography “Before We Was We: The Making of Madness” by Madness, are now being taken by Amazon. Check out out “Buy It” and “Sign of the Times” sections for more information. The book is due for release on 26th September 2019. Although there had been no official announcement, it looked like plans for a 2014 tour were now underway. What evidence did we have? Well, if you skipped down to the first article in our Sign of The Times section you’d have seen that The Literacy Trust charity were currently running an online auction to include VIP tickets and backstage passes where the winner could choose from a selection of major UK city venues including London, Manchester and Birmingham. We had nothing else to go on at that moment, but you could be sure that as soon as any further information regarding this possible tour appeared we’d be reporting on it in a subsequent issue of the MIS. This week we received an email from Ian Taylor, editor of the long running Mad Not Mad fanzine. 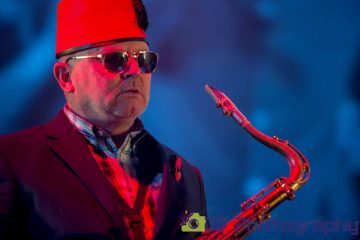 Ian told us that he was currently in the process of putting together a Mad Not Mad special edition, featuring all the past Madness articles, reviews and interviews published in the fanzine over the years. Alongside that lot, we were promised that all being well, a brand new interview with Woody would also be making an appearance. 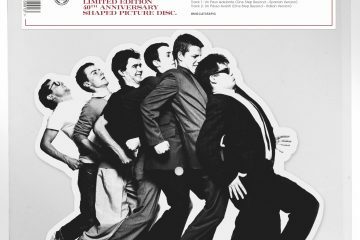 All proceeds from the sale of this special edition of the fanzine would go towards the Mad Not Cancer charity. Did you fancy winning yourself a T-shirt from the Madstore? If so, you may have wanted to enter the competition currently running on the Madness web site. If you were declared the winner you could bag any T-shirt currently for sale in the Madstore. Very nice! Elsewhere in this issue our regular “That Facebook” section featured Woody who spoke of his previous band, the rock group FAT (which stood for f**k all that). As we drew this issue to a close we featured updates on the band’s ale “Gladness”, and reported sightings in the supermarkets from fans. Although it had only been a few weeks since this year’s Madstock concert had been announced, the band had now added three more summer gigs to their ever growing gig line-up. 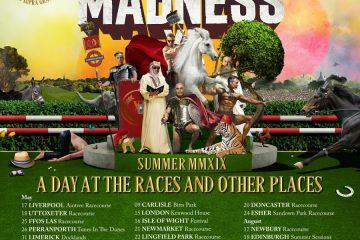 These new dates would see Madness perform in Hampshire, Gloucestershire and Norfolk. Rumours were also flying around that the band had been booked to play Berlin on Friday 5th June. We were just waiting for this to be officially confirmed. On to conservation news, and The London Evening Standard were reporting that thanks to the efforts of Suggs and numerous locals The Light, a bar in Shoreditch was recommended to be included in a conservation area. This would make it safe from demolition as part of a £500 million city development. If a conservation order was passed, Lord Foster’s Bishop’s Place scheme would have to be redesigned to accommodate the venue, which was inside a former Great Eastern Railway electricity station. Elsewhere, and we featured part to of an article we ran a couple of months back about Carl helping out Carlisle United with their intro to One Step Beyond. Carl requested that he would like Carlisle Utd to return the favour by donating toys to severely physically and mentally handicapped children in Ibiza via the Apneef charity which Carl raises money for each year at the Butterfly Ball. The article we printed was taken from Carlisle Utd’s own web site. 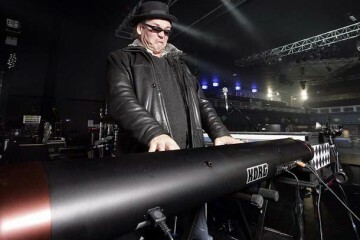 We brought this issue to a close with the news that Jean Pierre Boutellier was making great strides with his Madness compilation tribute album. Jean Pierre and his team had already received around 25 titles, and are waiting for 3 or 4 more to arrive in February before they closed the pre-selection. We were also told that a track list for this forthcoming tribute album would be published as soon as all the tracks were confirmed, and at the same time, a web site devoted to the album would also go live. 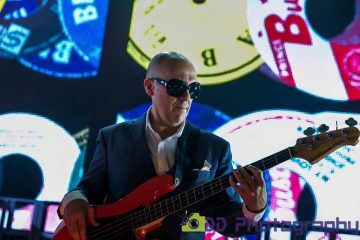 With it being a slow news week in the world of Madness the size of the issue reflected the sheer lack activity within and surrounding the band. We started off with news that comedian Dave Gorman had been bigging Madness up on Radio Northern Ireland. Not only that, but he’d also been mentioning his love of Madness in his new book – Dave Gorman’s Googlewhack Adventures. When visiting Space Needle in his book he compares the UFO shape of its design to a hover car he once drew in his school book as a nine year old child, which he notes he had decorated with Madness logos. 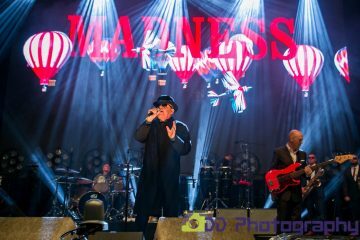 Last week we mentioned the unreleased Madness track `Perfect Place`, of which snippets of the studio version, and a complete run of the live track had kindly been made available online by folks over at the Madness Trading Ring forums. This week they kindly uploaded a number of other live tracks that had still yet to officially see the light of day. The tracks in question were: `Alligator With A Stanley Knife`, `Winter In Wonderland`, and `Natural Act`. The tracks were free to download. 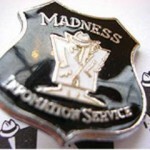 All you needed to do was to sign-up to The Madness Trading Ring. Moving on, and Jermaine of Tour Madness came back for part two of his Christmas 2003 tour write-up. This week The Forum gig in Kentish Town, and the Sheffield Hallam FM Arena gigs were covered. For those of you who were too engrossed in the shows to remember what was played, Jermaine had kindly provided a complete track listing of each performance. Elsewhere, we had news that Blue Grape have finally got the Christmas 2003 tour merchandise in stock and available for purchase online. If for one reason or another there was something you didn’t purchase on the night, now is was chance to add it to the collection. And finally, towards the end of this issue we had news that Madness recently jetted out to Paris to launch the 2004 Autumn Season of designer Yohji Yamamoto. Although not managing to get our there ourselves and see this we did have a brief write-up and links to photos, so you could find out just what went on. These lairy but charismatic chaps became Madness, one of the most successful pop groups ever, in the UK and beyond. 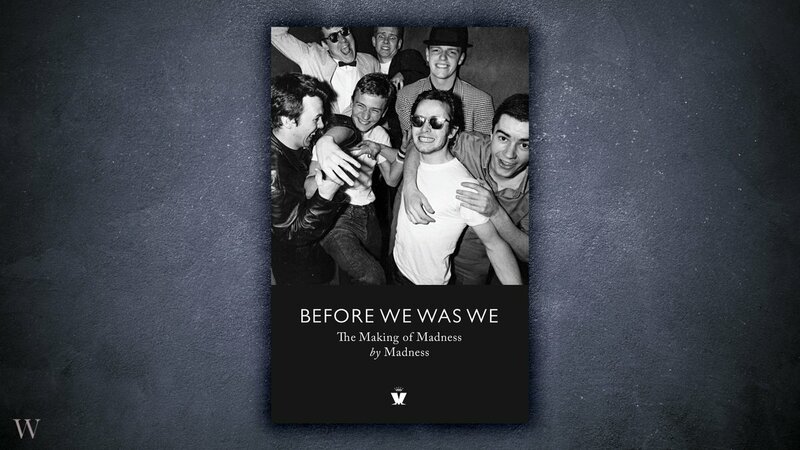 In Before We Was We, their first official book, they tell us the story of how they became them. It’s a journey full of luck, skill and charm, as they duck and dive by day and make the name in London’s exploding music scene by night, zipping around the capital in their Morris Minor vans. 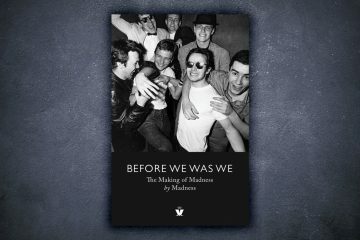 Their formative years, 1970-79, provided inspiration for many Madness classics, including ‘Baggy Trousers’, ‘The Prince’, ‘Our House’ and ‘My Girl’: songs that four decades later still soundtrack weddings and funerals and inspire mass singalongs in concert halls. In their own words, they each look back on their past and how during those shared adventures, they formed a bond that’s lasted forty years. We realise that this isn’t really Madness related, but during the course of the weekend we’ve been busy enjoying the brand new Specials album “Encore”, which was released on Friday. It really is a fantastic album and well worth you spending your hard earned cash on. Check it out!